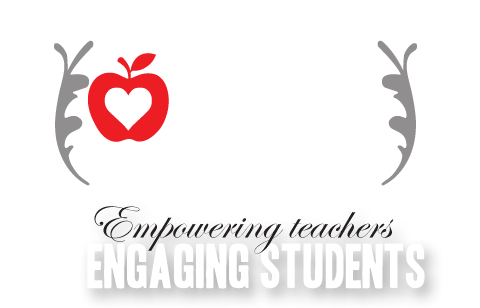 Kagan Charitable Foundation - Empowering Teachers. Engaging Students. Laurie Kagan is in high demand as a presenter worldwide. Her presentations are dynamic events—participants discover the power of simple instructional strategies to use as part of any lesson. Laurie is the author of twelve popular books for teachers and trainers including Multiple Intelligences: Structures and Activities, Teambuilding, and Classbuilding. Her book, Dynamic Trainer, is the single most comprehensive trainer resource and is the basis for her much sought workshop: The Dynamic Trainer. 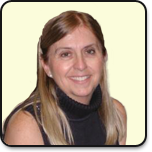 Laurie has developed popular learning games and structures that are used around the globe. 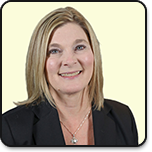 As the former Director of Elementary Education for the State of Nevada, Laurie is presently Director of Kagan Professional Development. 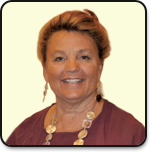 She develops Kagan workshops and institutes and selects and trains all Kagan consultants. Laurie translates a deep understanding of theory and methods into practical, teacher-friendly strategies and presentations. Spencer Kagan is an internationally acclaimed researcher, presenter, and author of 20 books, and over 80 book chapters and scientific journal articles. 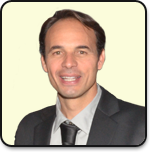 He is a former clinical psychologist and full professor of psychology and education at the University of California. He has received honorary doctorates from two universities. Dr. Kagan is the principal author of the single most comprehensive book for educators in each of five fields: cooperative learning, brain-friendly teaching, multiple intelligences, classroom discipline, and classroom energizers. 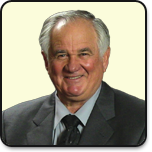 Dr. Kagan developed the structural approach to instruction. He has created many popular brain-based, cooperative learning, and multiple intelligences structures like Numbered Heads Together, Timed Pair Share, and Number Group Mania! 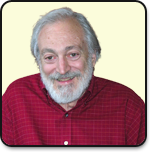 Dr. Kagan is the founder and co-director of Kagan Publishing and Professional Development, a company dedicated to improving the lives of teachers and students by providing workshops and keynotes in over 38 countries. Dr. Kagan's books are translated into many languages and his instructional strategies are used in teacher training institutes in many countries. Miguel Kagan serves as Executive Director of Kagan Publishing and Professional Development. Miguel's lifework is to share with educators research-proven teaching methods that boost academic achievement and enhance interpersonal relations, especially for traditionally low achieving students. Miguel is the author and co-author of numerous popular educational books including Kagan Cooperative Learning, Classbuilding, and Teambuilding. He has developed a range of software to facilitate student engagement. As the Editor of Kagan Online Magazine, Miguel works closely with teachers and schools to share their research, insights, and success stories—all revolving around increasing achievement and decreasing discipline problems by structuring learning to more effectively engage all students. 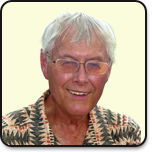 Linden L. Nelson is a professor of psychology emeritus at California Polytechnic State University and a past chairperson of the Psychology and Child Development Department. He is chairperson of the Peace Education Working Group of the Society for the Study of Peace, Conflict, and Violence: Division 48 of the American Psychological Association, and is a member of the Small Grants Committee for Division 48. He serves on the Editorial Board for "Peace and Conflict: Journal of Peace Psychology." Dr. Nelson is a past president of Psychologists for Social Responsibility. His research and writing has addressed topics such as development of cooperation and competition, social and emotional learning, peace education, militaristic attitudes, and peaceful personality. Terri Whitt is a professor of Nursing Emeritus at Saddleback College and current Director of the ADN Nursing Program at Stanbridge College. She has implemented the concepts of Service Learning with many nursing programs in Orange County and Thailand. She is an active member of the Critical Care Service Line Patient & Family Advisory Council at Mission Regional Medical Center. She is an active member of DMAT-CA 1–Disaster Medical Assistance Team, a national first responder under Health and Human Services. She served with Project Concern International in Ethiopia and organized and led four nursing outreach missions to Central America with Nurse Practitioners, Physician Assistants, RNs and nursing students. She has created a free nursing procedure website, called ALFA–Assisted Learning for All. It is composed of more than 150 videos for RNs, new grads, and nursing students around the world. Jack Forem is an author and editor, and a ghostwriter for "people who have something worthwhile to say and not enough time to say it." His major books are on leadership, meditation and spiritual development, and traditional Chinese and Indian medicine. He has been a teacher of Transcendental Meditation since training in India in 1970. He is on the board of the Alexa Rose Foundation that provides annual grants to artists in all genres, including music, painting, and cinematography in Idaho's Treasure Valley. Kathy Gross is the owner of Engrossed in Service, LLC which she established in 2018 with a desire to continue serving others after her retirement from Springfield Public Schools, Springfield, MO. During her 28 years of dedicated public school service, she enjoyed being a teacher, Assistant Principal and Principal, coach to teachers new to the career, Coordinator of Teacher and Leader Development, and Director of Professional Learning. Kathy knew she wanted to be a teacher from the time she was a kindergartner and still believes that teaching is the most important profession. This belief led to acceptance of additional duties in roles that support and empower teachers and leaders. Kathy is a respected educational leader who loves learning, presenting, facilitating and coaching. She volunteers weekly at her church and enjoys traveling. Kathy graduated from the Learning Forward Academy in 2013. She received her Specialist and M.S. degrees in Educational Administration from Missouri State University and her B.A. in Education from Drury University in Springfield, Missouri.